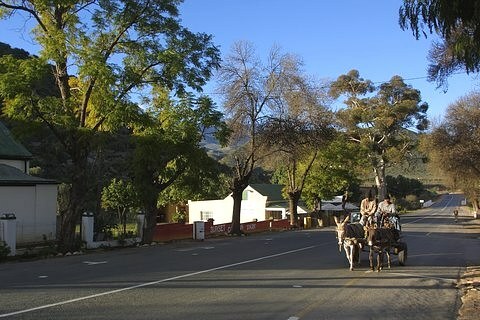 As a perfect base for an activity-filled holiday De Rust offers a range of adrenalin-filled options: from mountain climbing and mountain biking in the Kamanassie, to exploring the splendor of Meiringspoort, Seweweekspoort, or the Swartberg Pass between Gamkaskloof (also known as “Die Hel / The Hell”) and Prince Albert. The information kiosk halfway through the Meiringspoort gorge provides useful information about the area, as well as samples of the indigenous flora of the area. 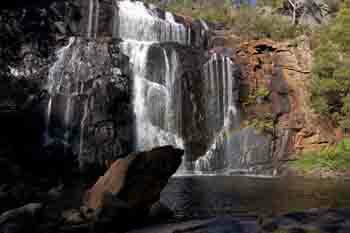 Take a walk up to the impressive 60m waterfall, well-hidden in a deep ravine, visited by the Prince of Wales in 1925. Enjoy the tranquility and beauty of this unique place and keep an eye out for the fabled mermaid that lives there. The mermaid legend can possibly be attributed to the Khoisan rock paintings of 13000 - 15000 years ago that depict humanoid creatures with fishtails. 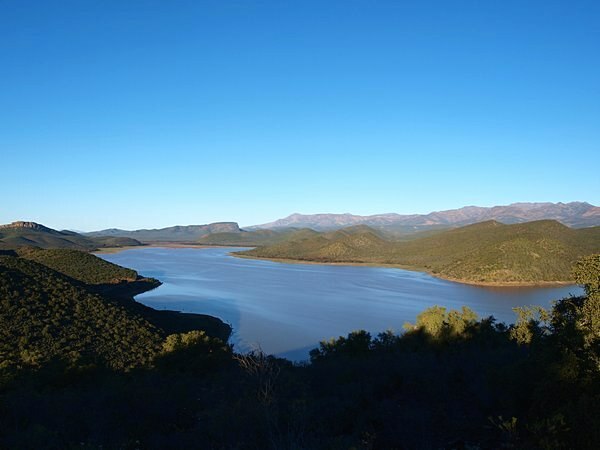 The Stompdrift dam, the largest dam in the Little Karoo with a 26km coastline is situated 8 km from De Rust. It offers a relaxing breakaway in beautiful surroundings for outdoor lovers, and excellent carp fishing opportunities. Take a cruise to explore the dam’s surroundings, where a wide variety of birds including African eagle and spoonbills can be seen. It is an perfect family venue for swimming and enjoying water sports. Take a ride in a rebuilt donkey carts and support the Donkey Awareness Program that is trying to ease the plight of the De Rust donkeys. All cart owners are members of the De Rust Donkey Club. Remember to visit an ostrich farm as well as the famous Cango Caves in Oudtshoorn. Spoil your taste buds with some of the country’s finest cuisine, before taking a wine-route excursion, or go hunting for fossils on the endless plains of the Great Karoo, soaking up the unique beauty of the mountains as you do. The Meiringspoort half-marathon held in October each year also attracts people from all over the country to take part in the event.